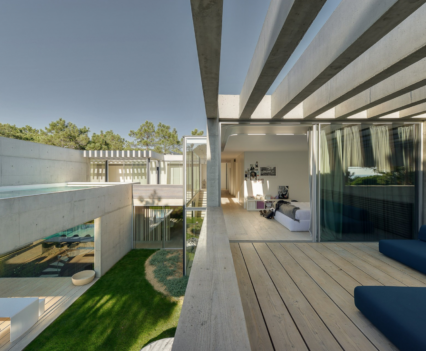 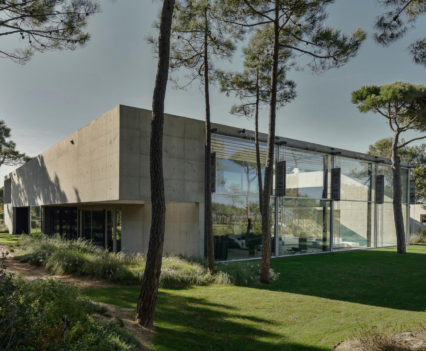 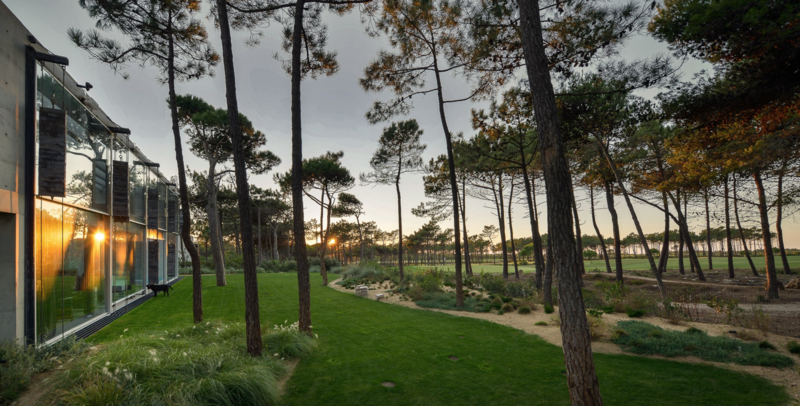 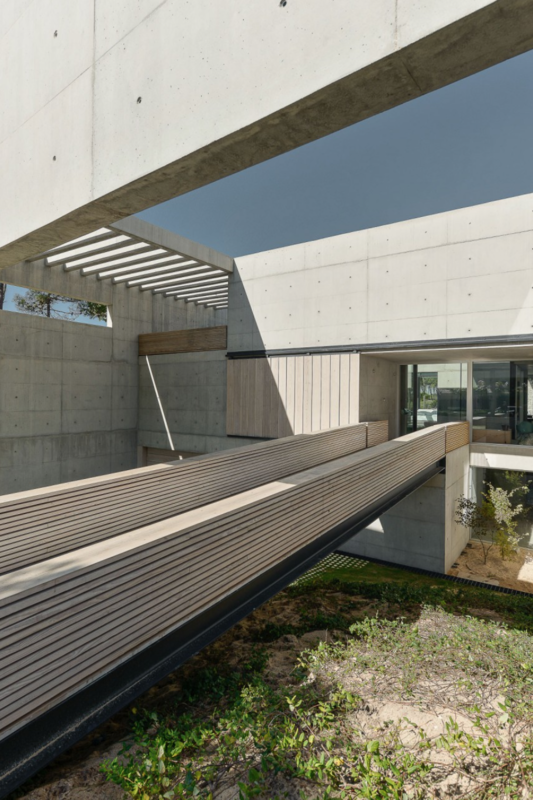 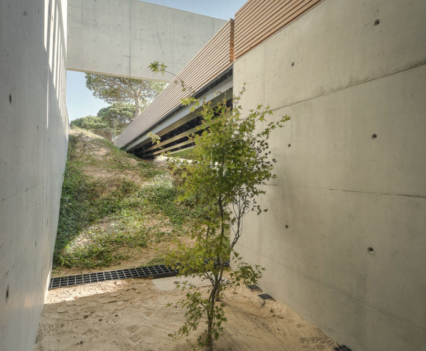 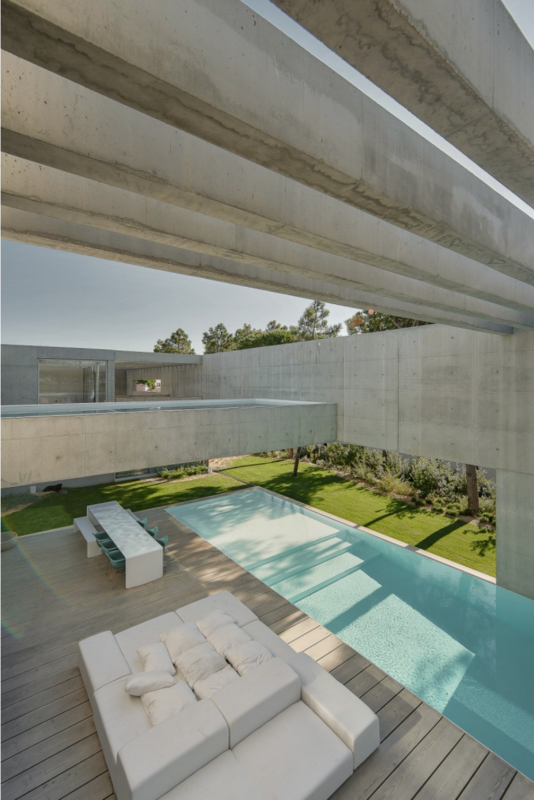 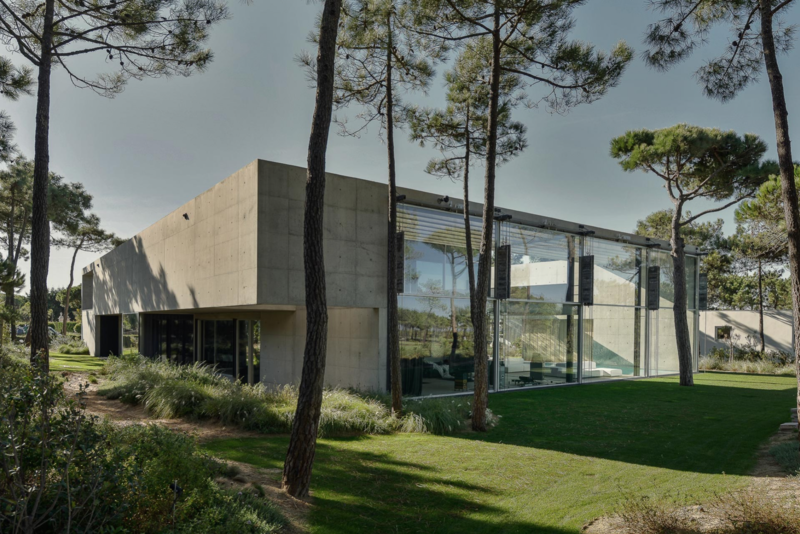 In the Portuguese Riviera there’s a 2290 sqm lot located right between Oitavos Dunes Golf Course and the Atlantic seaside, both of which make up the privileged views of this spectacular, luxury custom home designed by the Portuguese-based firm Guedes Cruz Arquitectos. 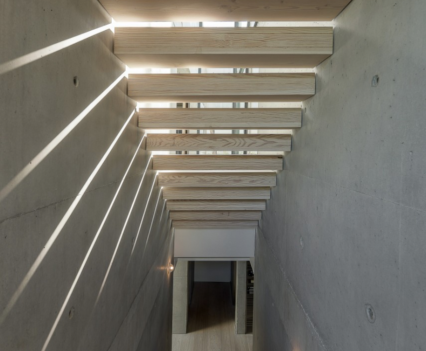 The house has been named the Wall House inspired by the home’s wall of slatted timber which closes off in order to provide privacy and protection from the Atlantic winds.Extensive use of glazing creates a synergy between the exteriors and interiors. 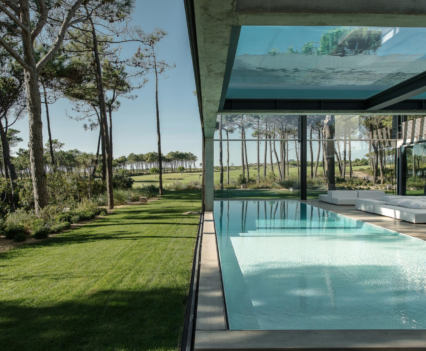 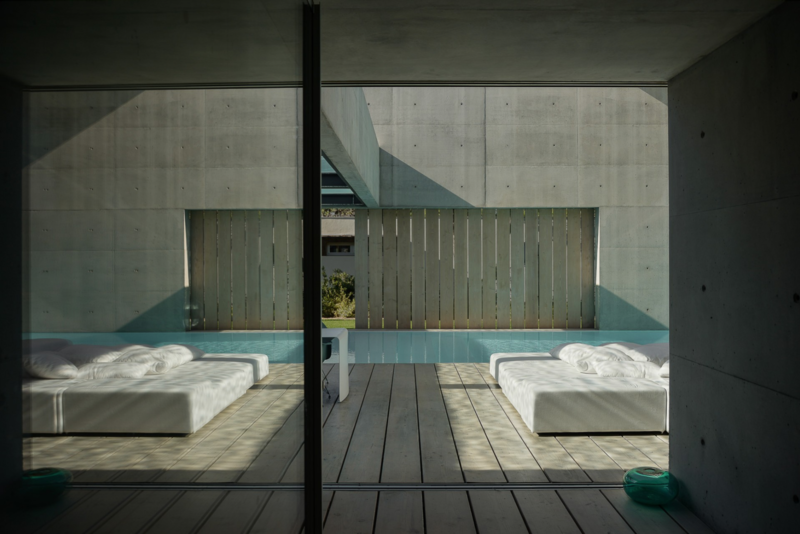 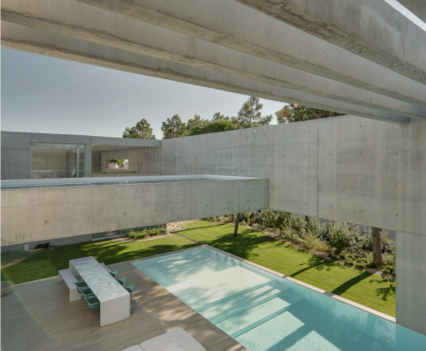 The most spectacular feature of the home is without doubt the visual connection of the two swimming pools on site. 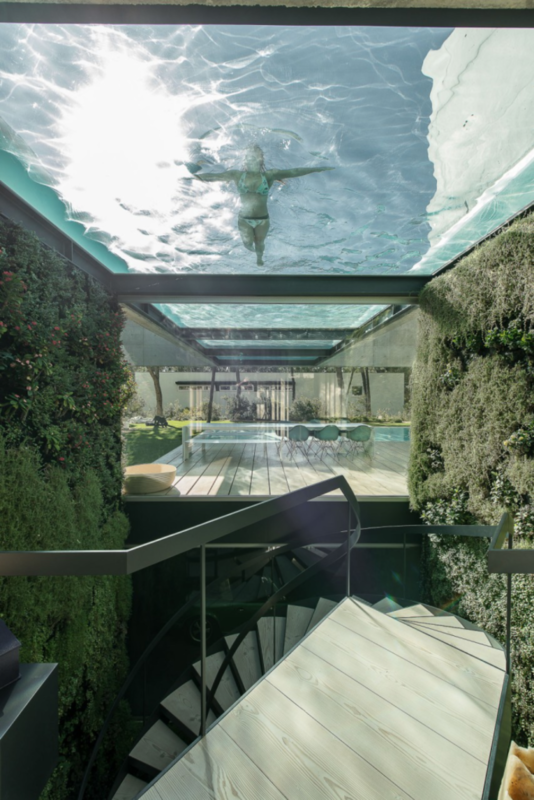 One on the ground floor and the second “floating” perpendicularly on the top. 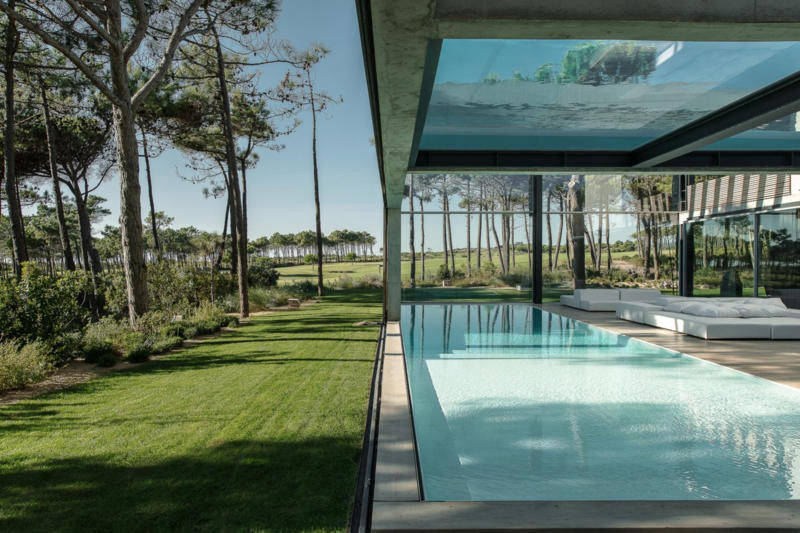 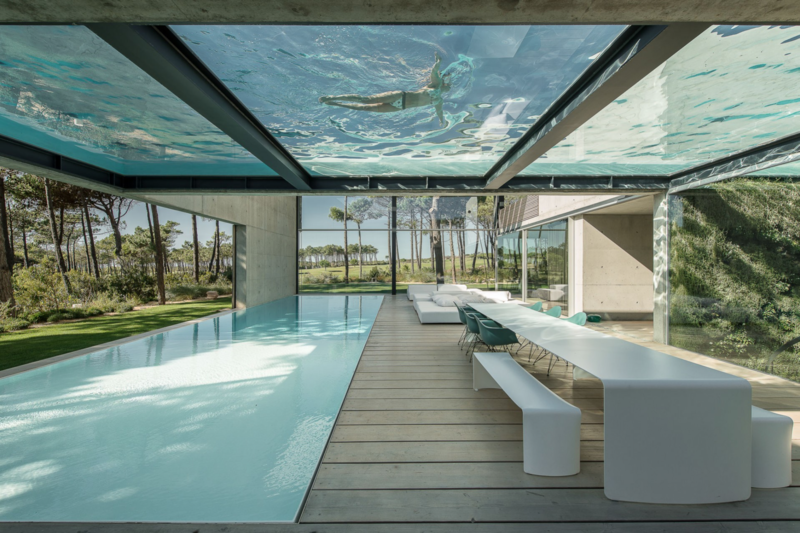 This impressive engineering feat is elevated further by the fact that the architects chose a glass bottom for the upper pool that creates a surreal effect in which the rays of sun mixed with the water from above bring a relaxing, dancing movement on the whole patio. 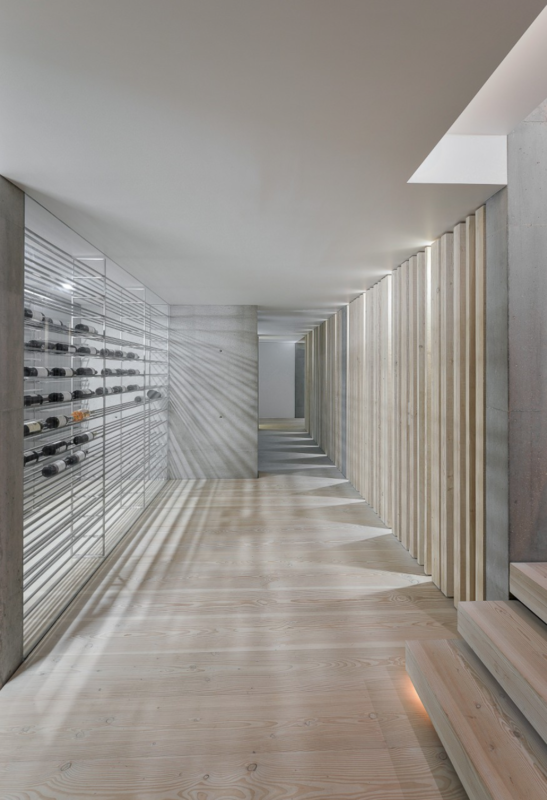 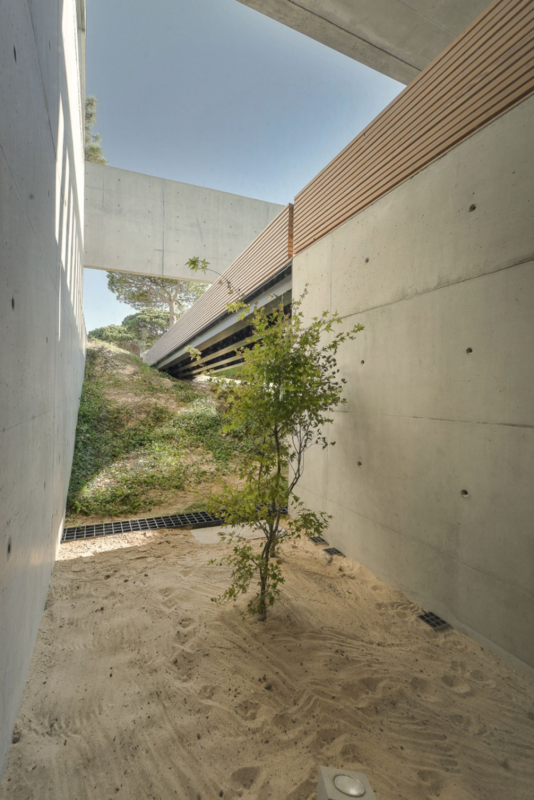 Air, water, wood and nature, these elements are present in every corner of the project. 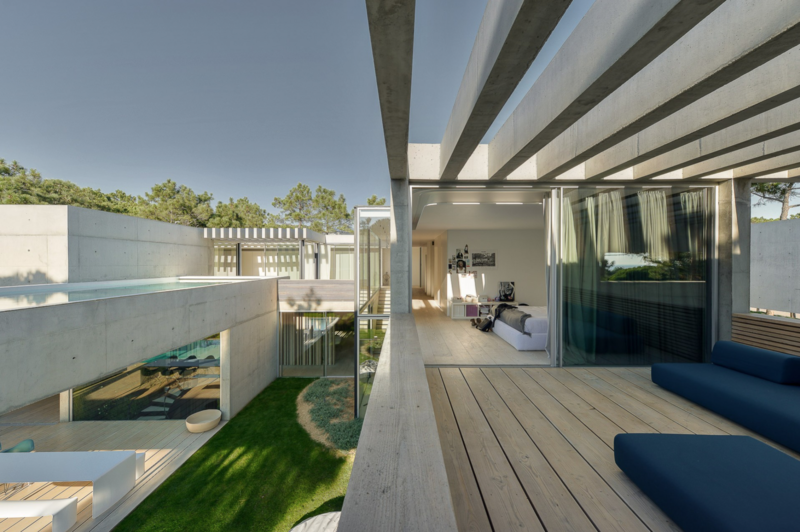 The exteriors are basically comprised of concrete, wood and glass. 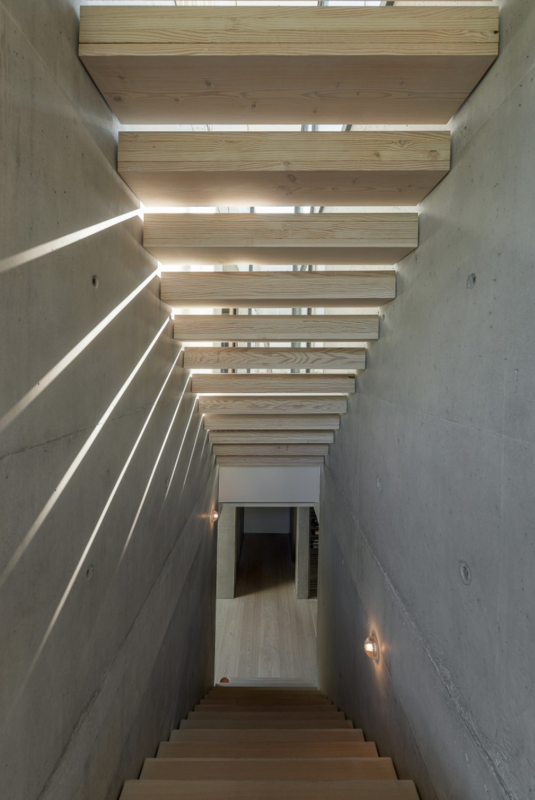 Timber slatted bridges are used as means to gently connect the interior spaces which are elegant in their simplicity, as if the purpose is to focus our attention outwards on the beauty of the natural surroundings. 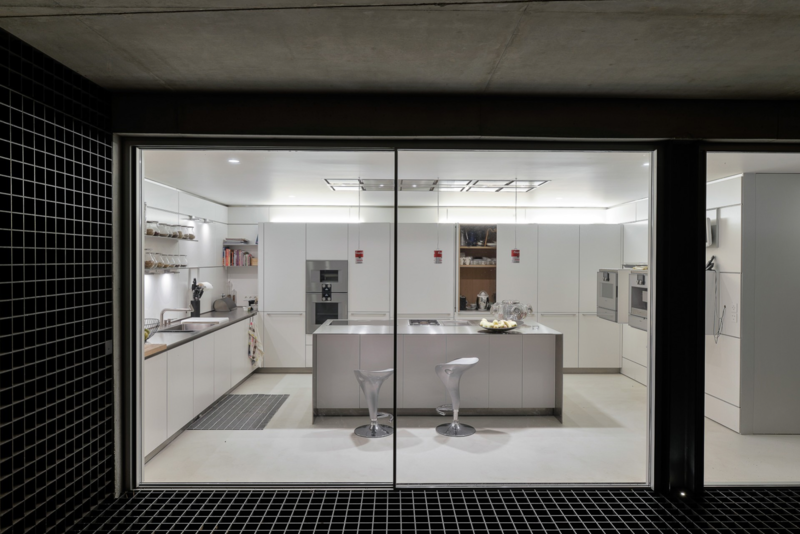 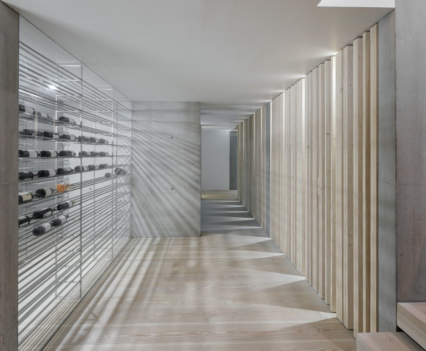 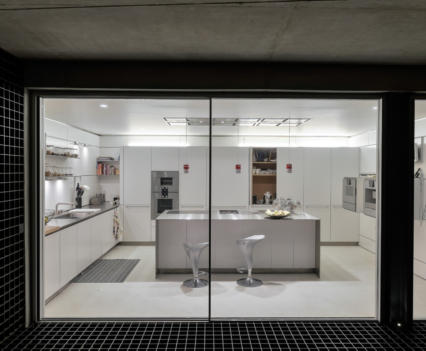 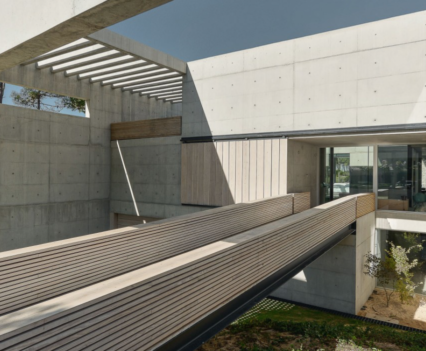 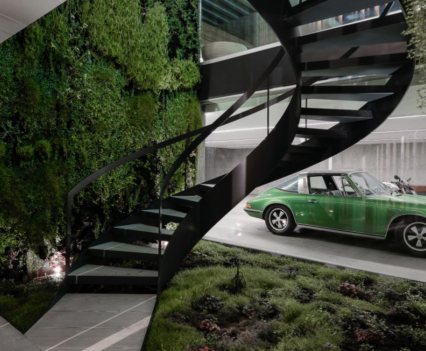 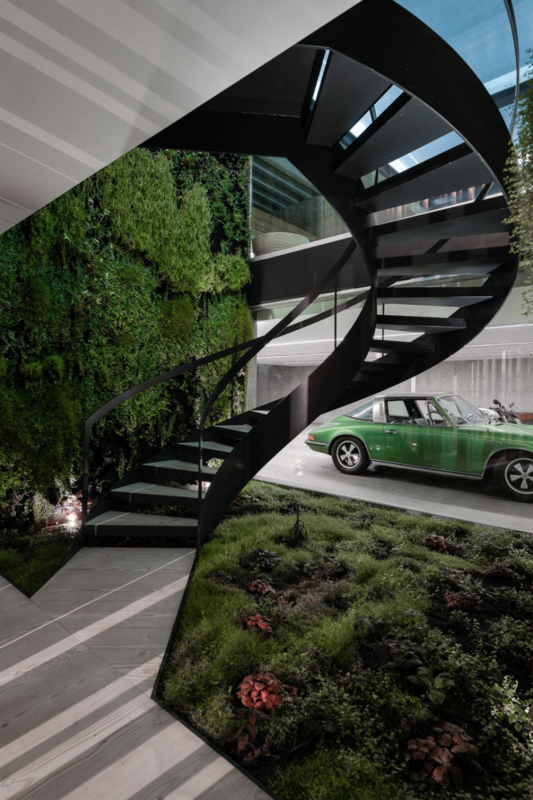 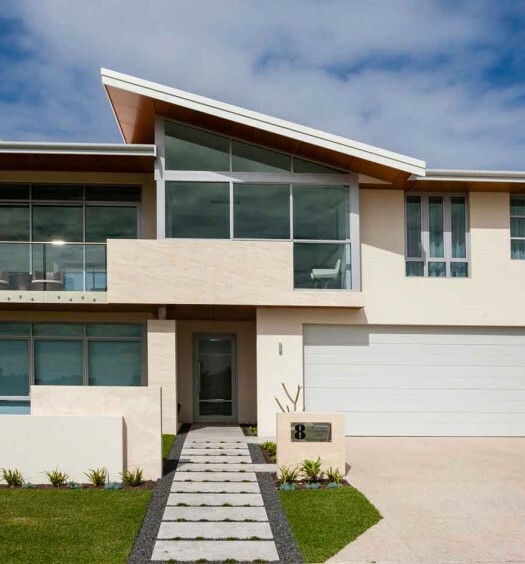 A stunning work of architecture whose concepts of space,sleek lines and connection to the surrounds results in a custom home that truly is a treat to the senses.